Manchester United are being linked with centre-backs almost by the hour as the transfer window approaches its final day. The hunt for a leader in the heart of their defense has plagued them for much of the past weeks, and now, a new name has entered the fray. The first name to be linked was that of Tottenham’s Toby Alderweireld, the stalling of which led to the commencement of the Harry Maguire saga. Subsequently, Yerry Mina was also thought to be on the verge of a move, and a more recent name that has cropped up close to deadline day is that of Jerome Boateng. A variety of reports have been doing the rounds regarding the German defender, who at 29 years of age, is on par with the likes of Alderweireld, while his Bayern Munich experience makes him a formidable signing for the Mancunian giants. 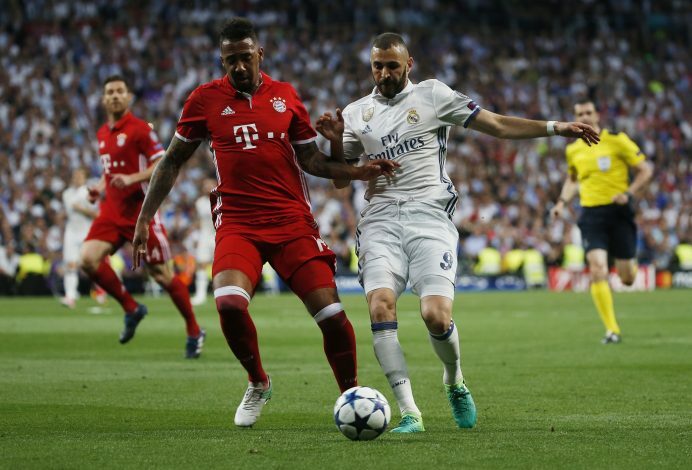 The Bundesliga club’s valuation for Boateng is believed by some to be the point of contention between the clubs, while others still maintain that the desire for an Old Trafford move still holds strong. Was told earlier today that @ManUtd highly unlikely to get Jerome Boateng but since been told player still keen if he feels Utd really want him. Jose thinks it can be done. Were talking loan. Bayern wanted straight sale. However, Alderweireld is still reported to be the most likely candidate for a deadline day move, whereas these other names are merely adding to the tension at the side. Further, the sheer last-minute nature of this deal is what may jeopardize it at the end, as United may hold the fear of heading into their season without signing a world-class centre-back after all.